Sai Suites is a fine choice for guests visiting Bangalore. With various basic amenities and simple yet elegant design, the rooms are both welcoming and comfortable for guests. The rooms are spacious, bright and warm with colourful walls and various comfortable furnishings for a pleasant stay. CCTV cameras ensure the safety of the guests. 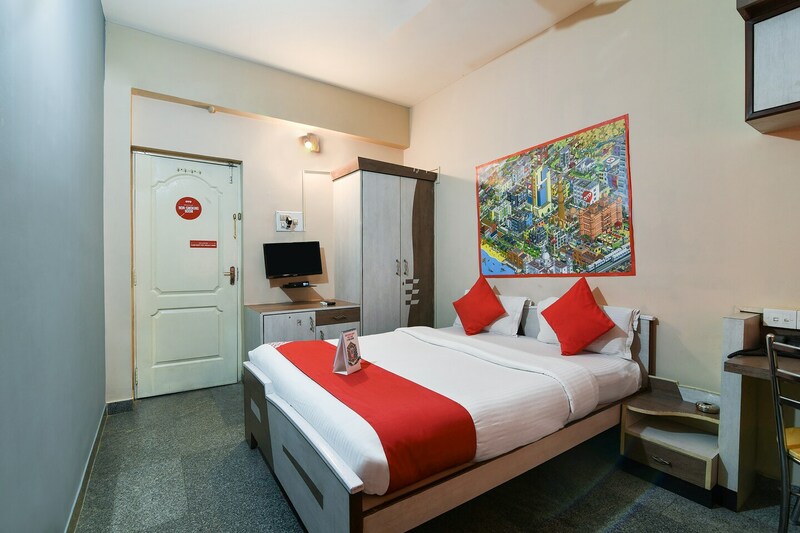 Various other facilities are also available like free Wi-Fi service to stay connected, power backup and parking facility for convenience of the guests. The guests can also enjoy tasty treats as many restaurants are located near the hotel. It sure is a home away from home.